Back in April I wrote about A2 dairy products shifting from a brand to a category. In that article I focused on the new players who were entering the market, including Fonterra in New Zealand, plus Nestlé and Mengniu in China. The essence of the science is that A1 beta-casein releases, on digestion, a fragment called beta-casomorphin-7, written for short as BCM7. This protein fragment, as evident in the name, is a casein-derived morphine-like substance. In scientific terms it is a mu-opioid which attaches to mu-opioid receptors, of which there are many in humans and other animals. Disclosure of Interest: Keith Woodford consults internationally through his company AgriFood Systems Ltd for a range of dairy companies that hold diverse positions in relation to A2 milk. I have made some effort over the years to investigate the journey of new ideas and new science. A starting point is Thomas Kuhn's 'The Structure of Scientific Revolutions'. An obvious early insight is to recognise the power of particular world views once established, and hence the difficulty of shifting those. Even in universities, new ideas are only welcomed if they don't threaten existing careers and existing power relationships. I also noted early on that most people who argue with prior science end up being destroyed by the difficulty of getting their views heard. But the wonderful thing about science is that truth always wins out in the end, even if that takes many decades.Along the way there can be many casualties. Truth always wins. This one still makes me laugh. Good description of universities there. Keith, A2 Milk was required by the Court in Australia to prove their health benefit claims in the A2 Milk/Lion legal dispute by Nov last year. But they settled out of Court before the deadline. If the science is as compelling as you allude to, why do A2 Milk settle out of court rather than take the opportunity to once and for all, prove their claims of health benefits? 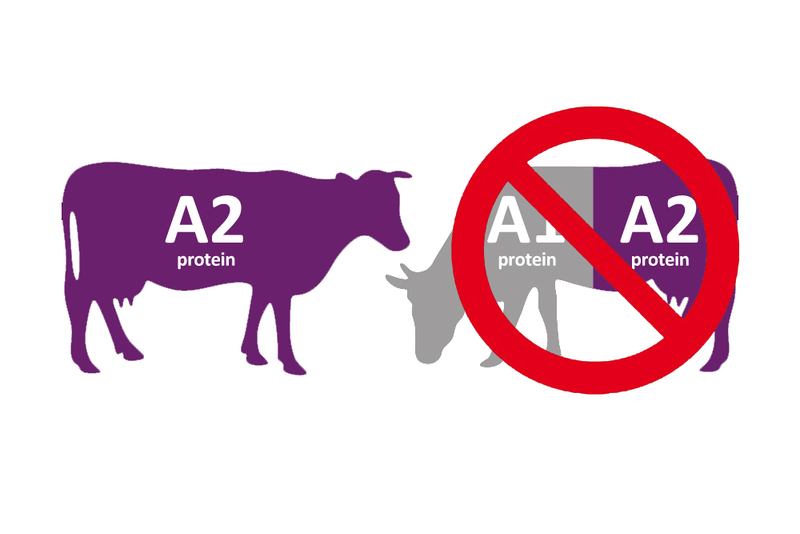 A2 milk is an option for consumers (something Nestle acknowledges in the above article) just like organic, zero lactose and the various milk fat compositions. With Fonterra sourcing milk from 1 or 2 herds for its A2 Fresh milk and with more A2 herds available to it, it is unlikely to drive farmers to change to A2 while the market doesn't support it. Also my understanding is that Fonterra pays farmers the same or similar milk price for A2 milk as it does for is regular milk. But it like consumers, it does give farmers an option if they so choose to take it up. Lots to answer there. But here is a start. A2M sued Lion re misleading advertising, and Lion counter sued re issues of the science. The out of court settlement has led to Lion desisting from its misleading advertising. Lion also withdrew its claims against the science. So A2M got everything it wanted. The market share for A2 fresh milk in Australia is just over 10 percent by value. In a diverse market, that makes them number 1. In infant formula, a2 Platinum is easily the market leader at 32 percent. The shortage of supply for infant formula in Australia appears to be because of further rapid increase in demand. We will all get better numbers on this on 20 November at the AGM. Nestle does not have the supply capacity to get into A2 fresh milk in Australia. It does have the capacity to market A2 infant formula in Australia from imported product. Fonterra's initial supply of A2 has indeed come from one or two herds. However, Fonterra is also talking to many of the big farmers about reorganising their herds. Let's see what emerges! You are correct, Fonterra has achieved its initial supply without paying a premium. The story behind that (and there is a story) could be interesting when it finally emerges. Given the time it takes to converts herds, waiting until all is evident before starting the process could well be an illustration of having one's head in the sand. Once again, time will tell. The failure to engage proactively with the A2 issue was arguably Fonterra's greatest mistake. I tried to get CEO Andrew Ferrier and Chair Henry Van der Heyden to engage on multiple occasions, but it was a losing battle. We talked, but I could not get them (or other directors) to seriously engage. An irony is that Fonterra had a 50 percent share in a key patent, held jointly with A2 Corporation (as it was the called). If only Fonterra had produced an A2 infant formula, the industry would now look very different.